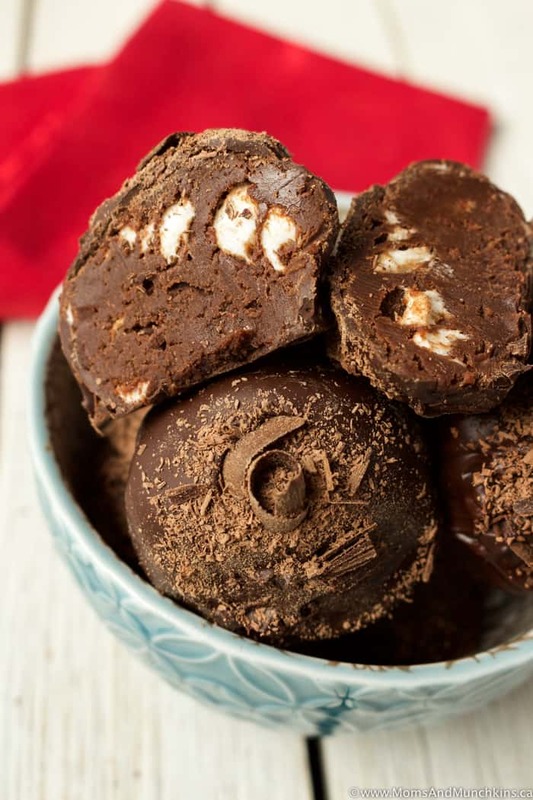 Have you heard of Hot Chocolate Truffles? It’s such a fun treat to give to friends this holiday season. Basically it’s a chocolate ganache truffle dipped in chocolate then you drop it into a mug of hot milk to make a rich hot chocolate beverage. I top my hot chocolate with whipped cream and even more chocolate because if you’re going to have a sweet treat then you should just go all in for calories, right? Right! 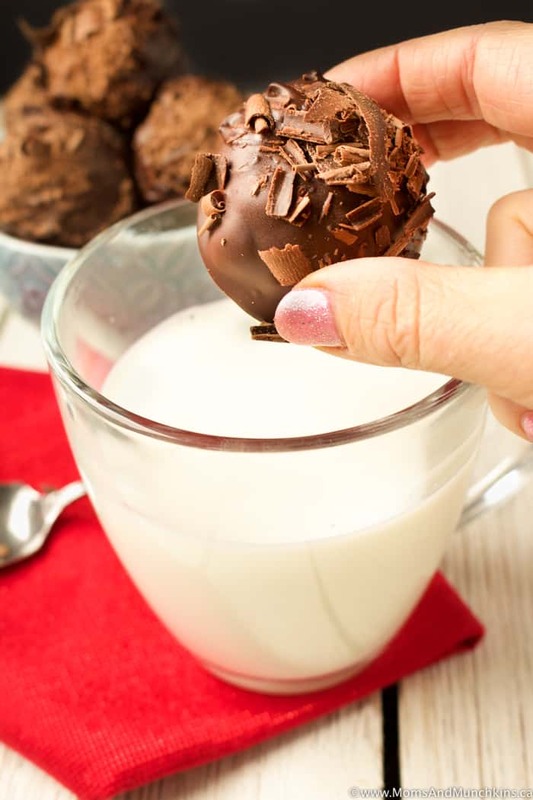 Depending on the temperature of your milk, the truffle may not completely melt. You can pop that hot chocolate back into the microwave for about 30 – 60 seconds and stir it again to melt the chocolate completely. 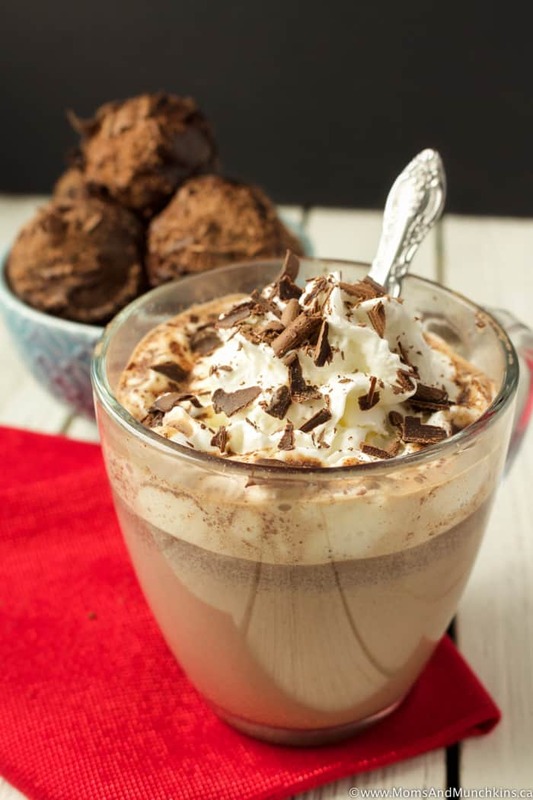 If the truffle doesn't completely melt in the mug of hot milk, put the mug back into the microwave for 30 to 60 seconds to melt the chocolate completely. To easily make shaved chocolate, I use a vegetable peeler on a large plain chocolate bar. Optional: whipped cream and additional chocolate shavings to top hot chocolate. In a saucepan over low-medium heat, stir together chocolate chips, heavy cream and mini marshmallows until the chocolate has melted and it is well combined. Remove saucepan from heat and let cool for 10 minutes before pouring into a resealable food storage container. Place chocolate mixture in fridge until it's stiff enough to scoop (at least 3 hours but best left overnight). Scoop chocolate mixture into 2-tablespoon sizes and place on wax paper then into freezer to set for at least one hour. 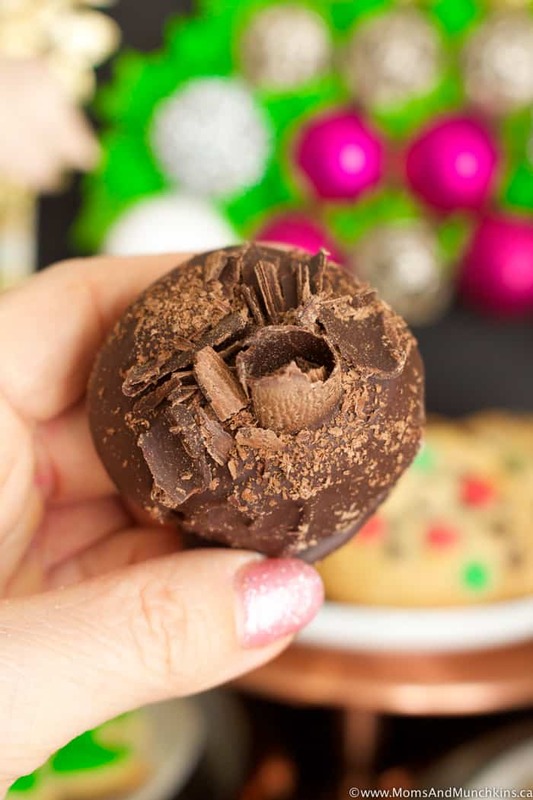 Remove truffles from freezer and dip, one at a time, into melted chocolate to coat. Immediately sprinkle chocolate shavings on the top of the truffle and place it back onto the wax paper before moving onto the next truffle. You'll want to top each truffle with chocolate shavings right after they are dipped because the chocolate shell will harden quickly. Place truffles back into the freezer until chocolate has hardened. 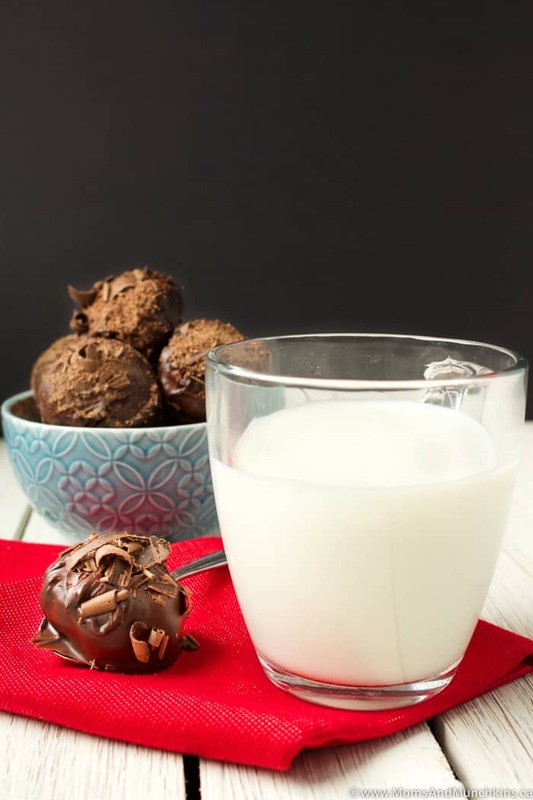 Store hot chocolate truffles in a resealable food storage bag in freezer until ready to serve. To serve, drop one truffle into a mug of hot milk. Stir well to mix. If the chocolate doesn't completely melt, you can place the hot chocolate back into the microwave for 30 to 60 seconds. Optional: Top hot chocolate with whipped cream and more shaved chocolate. 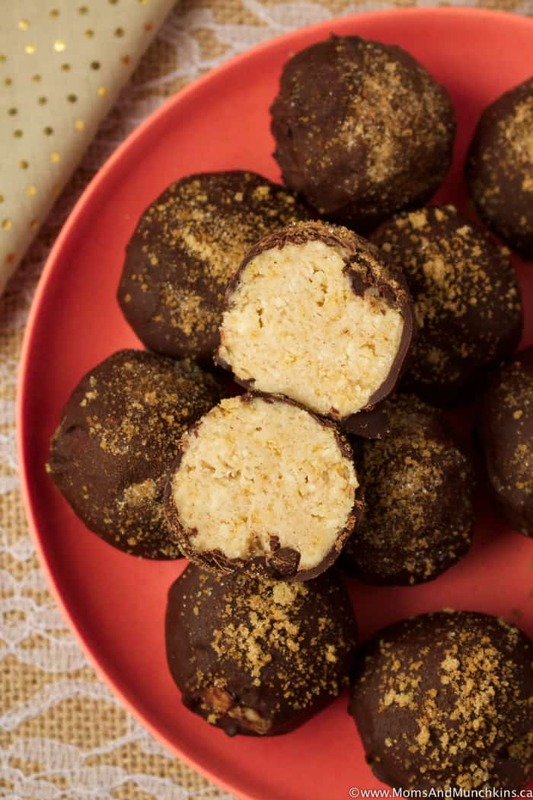 Cinnamon Bun Truffles – totally irresistible. 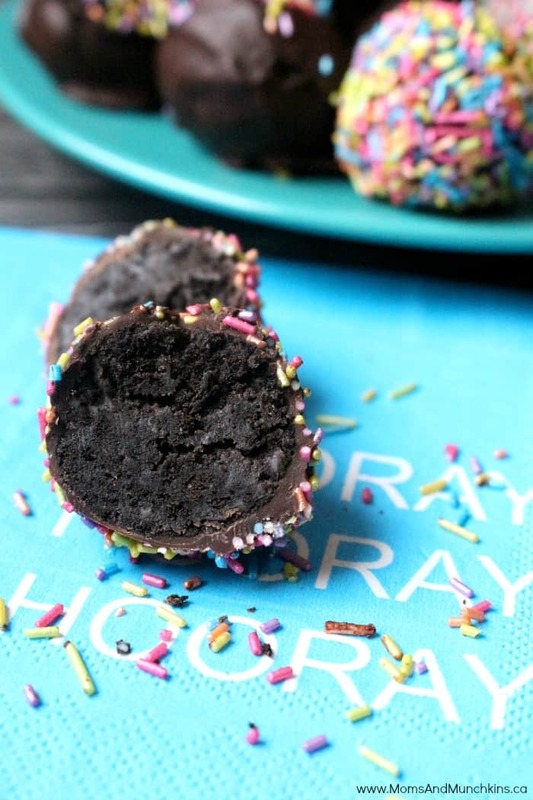 Oreo Truffles – incredibly easy to make and so delicious! For more tasty ideas, visit our Recipes page. Stay updated on the latest ideas for home entertaining and family fun by following us on Instagram, Facebook, Twitter and Pinterest.